I admit. 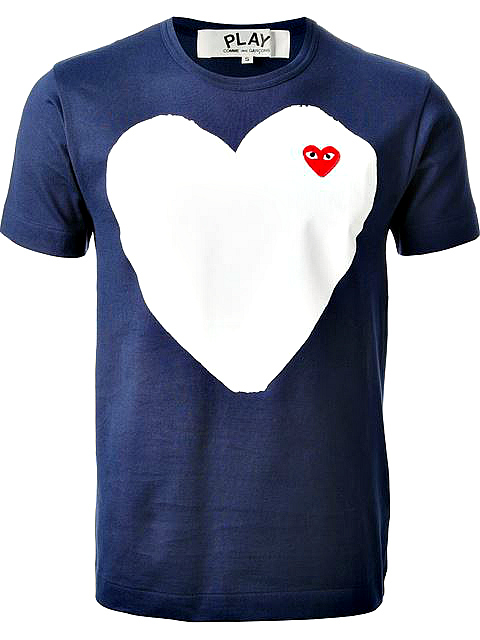 I have considerable volumes of shirts in various colors, prints, styles and designs. My mother even consider my living quarters as nothing but a humongous cubbyhole of articles of clothing. She would often allege and accuse me of storing some inside my fridge because my closets and boxes of garments are all so choked-up and full to its brim. That is why the last thing I need is another piece of tee shirt. But because of my caprichoso-ness (capriciousness), I know that I simply have to satiate my capricho. That is why when I was planning my little shopping in Osaka, my odd obsession was focused towards buying a simple yet over-priced piece of shirt. 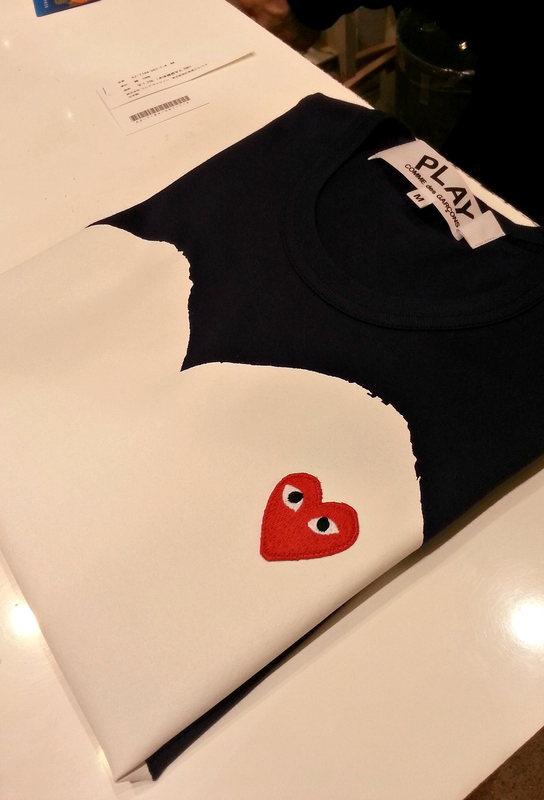 The Comme Des Garcons Play t-shirt. 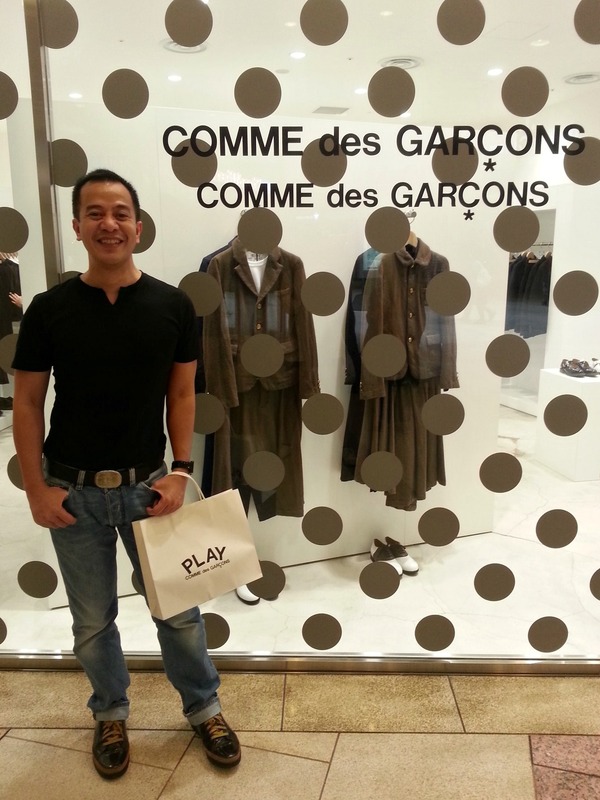 I was so determined to acquire one, I even googled where in Osaka a Comme De Garcons outlet is. Good thing my nephew Denden knew exactly where in Namba Parks the store is located. Armed with unbendable willpower and fortitude, I, Nengkoy and my niece Erika trekked to the high-end portion of the mall. As soon as we found the outlet, I selected from among the limited designs and supplies hanged on the racks. And since I look broke and penniless, the shop attendant did not allow me to wear and test fit it. I got infuriated I wanted to buy the shop attendant himself. But since I was so focused on my target, I brushed him aside. With irrational conduct, I procured a piece. And with closed eyes, I paid the somewhat unreasonable worth as printed on the price tag. Erika and I went back to the apartment with satisfied and happy faces. Nengkoy however was perplexed, maddened and enraged! Not with the shop attendant but with my capricho and being a caprishoso.